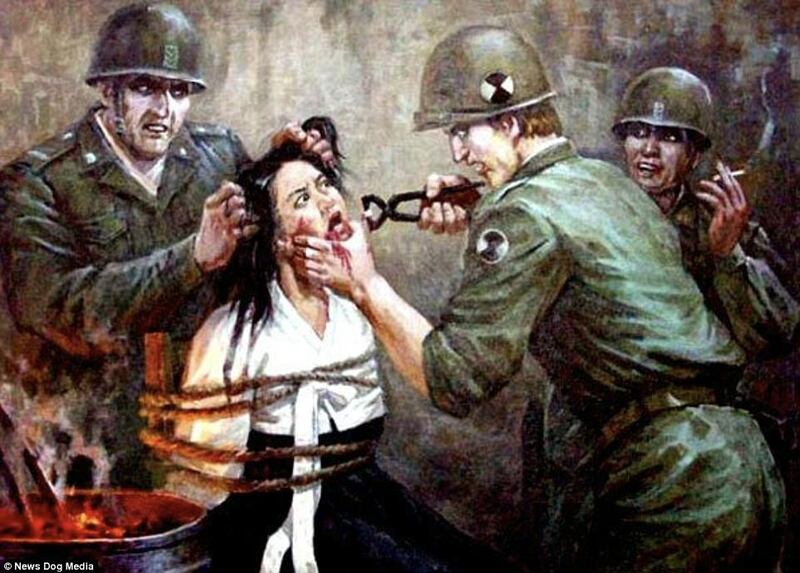 Horrific North Korean propaganda art shows American soldiers torturing women with pliers and murdering babies. 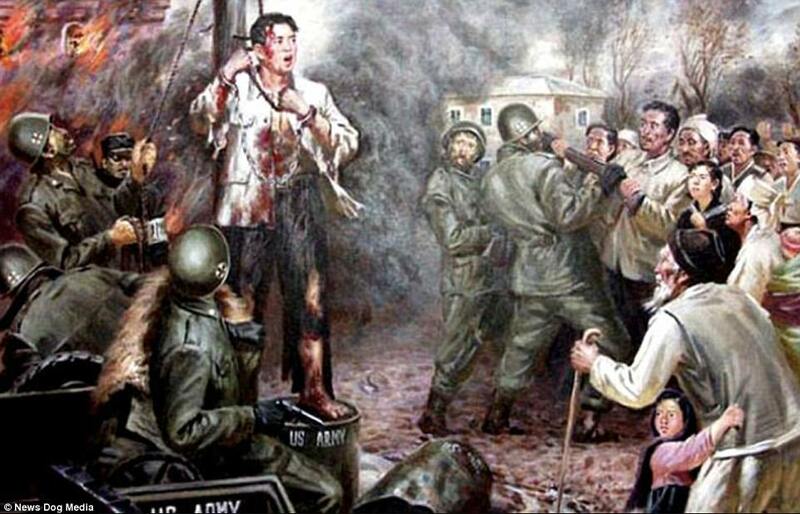 The paintings, believed to be from 2005, claim to depict atrocities carried out by American soldiers during the Korean War of 1950-1953. 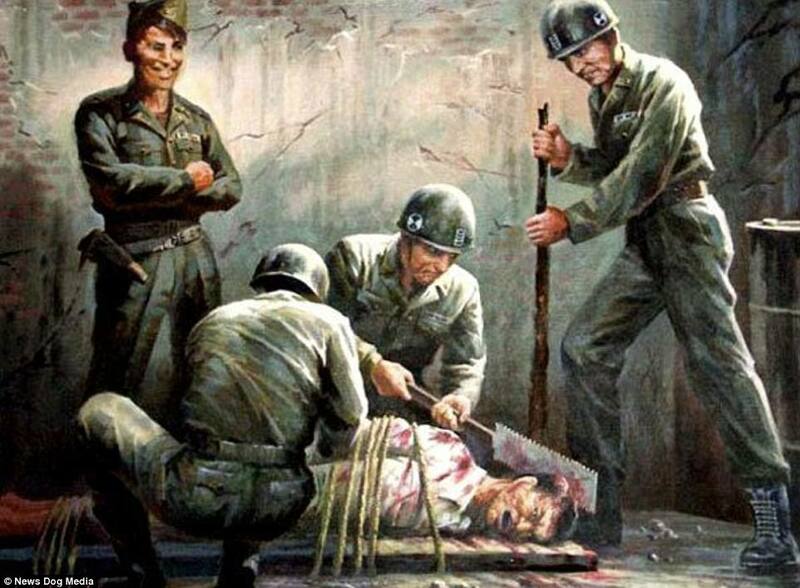 They show Americans torturing women by removing their teeth and killing men by slicing their heads off. One image shows American soldiers sneering while they hold a gun to an infant girl’s head as she weeps at the sight of her dead family. 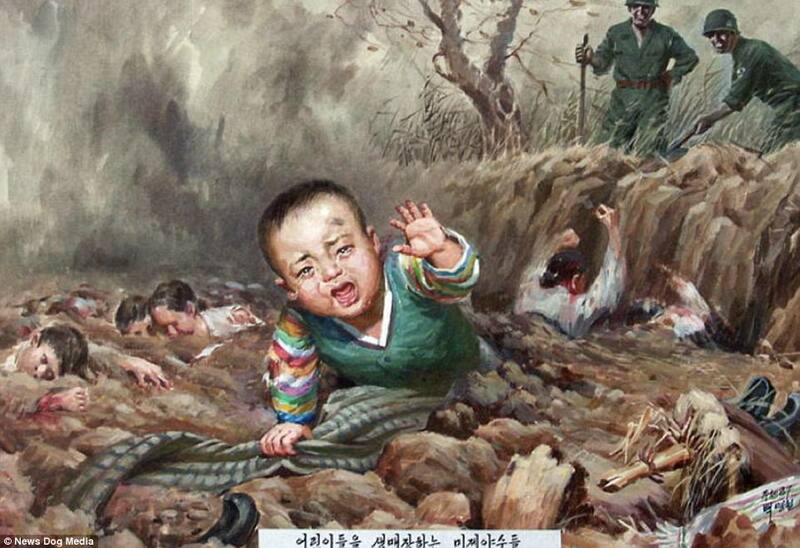 It is believed that some of these painting are displayed in the Sinchon Museum of American War Atrocities in North Korea. Thank you for sharing this. 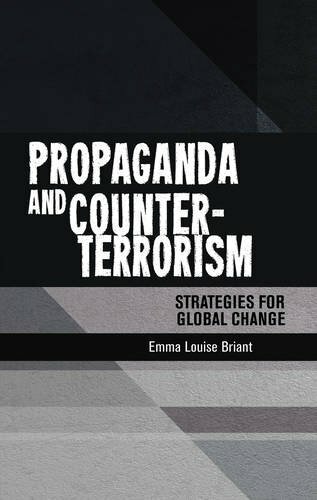 Surfacing some of these lesser-known issues is of particular importance in understanding the current US-North Korea conflict.